This applet is for use when finding volumes of revolution using the disk method when rotating an area between a function f(x) and either the x- or y-axis around that axis. As usual, enter in the function of your choice. Select (and/or de-select) the appropriate axis of revolution. Set upper and lower bounds on the region. 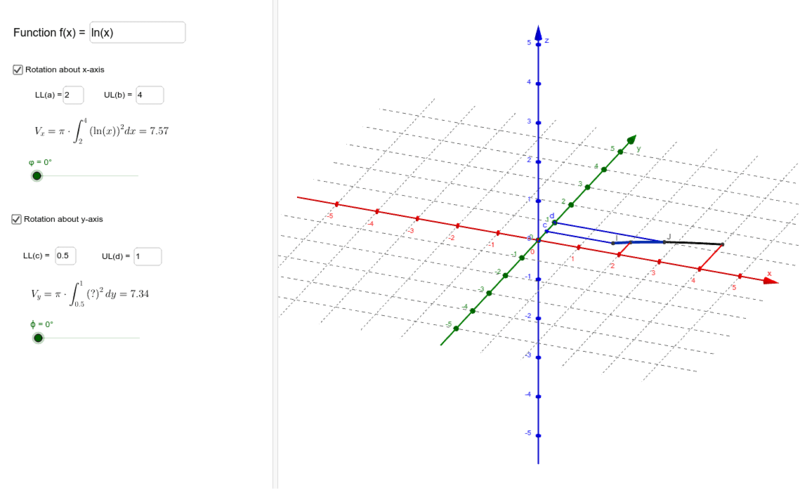 Use the slider to rotate the region around the appropriate axis. This applet is for use when finding volumes of revolution using the washer method when rotating an area between two functions f(x) & g(x) around a line. To start, select either "rotate around y=?" or "rotate around x=?" and then enter the appropriate line. Next, enter the appropriate choices for the inner and outer functions. Set upper and lower bounds on the region. 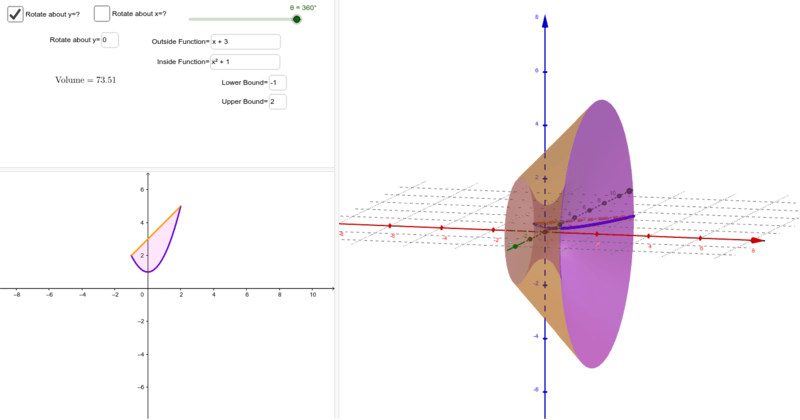 Use the slider to rotate the region around the appropriate axis and observe the construction of the solid. 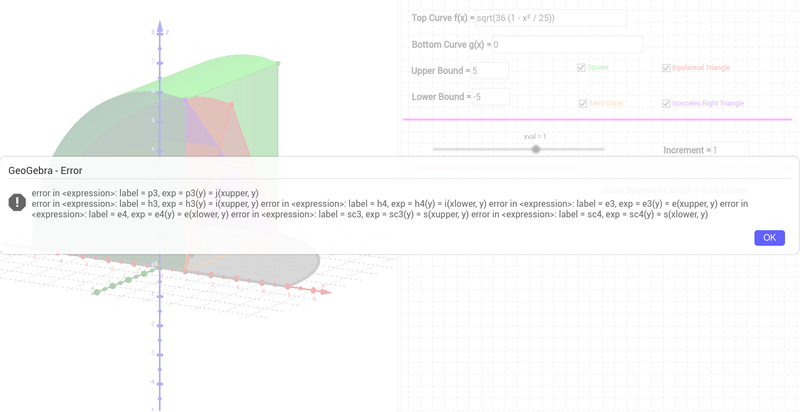 , you will see a frame-like cross section every 0.5 units while the overall solid is shaded in.